As we mentioned in our 2018 Year in Review, we launched the beta version of Grepsr Realtime last November. 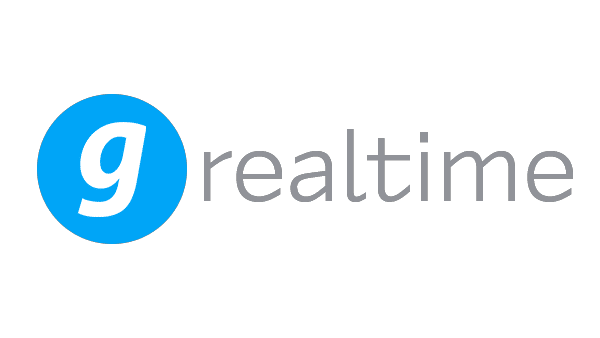 After a few weeks of improvements and testing, we’re proud to announce that the full version of Realtime is finally here! Grepsr Realtime is an API platform where users can access web data instantly from any website by simply executing an API endpoint without having to set up any crawling mechanism and wrangle with CSV files. Our APIs convert any web content — simple or complex — into easily manageable JSON. To get you acquainted with our system, we’ve got a few pre-built APIs in the Explore section that you can use for free (more on this later). These include some of the most commonly requested ones like Amazon product details, news and articles extractors, reviews scrapers, etc. You can change parameter values to customize the API endpoint, which is automatically updated as you enter or modify the values. Please note that we’re currently only on an initial testing roll-out phase, and we’ll be adding more APIs to the Explore section in the future. 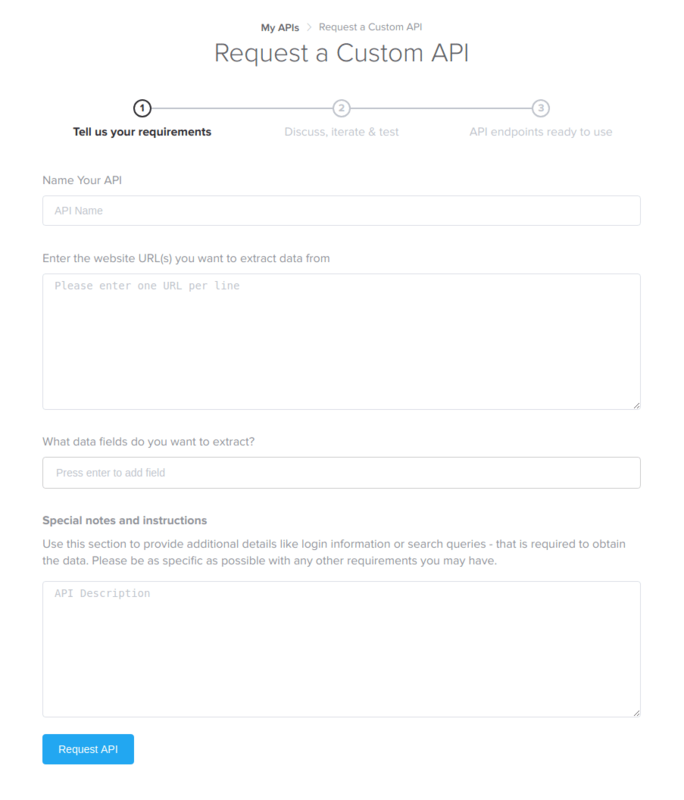 If our pre-built APIs don’t quite do the job, you can always request a custom API by simply filling out a request form with your requirements, and we’ll build it for you! 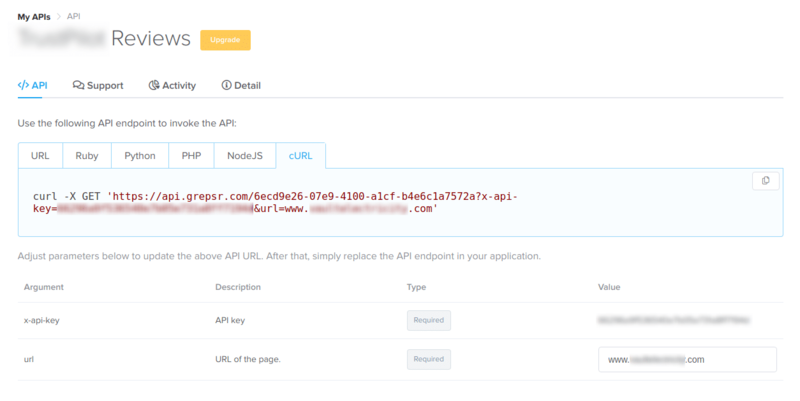 Once you post the request, the API project will appear in the My APIs section, and be queued for review by our experts. When it’s ready, the API endpoint and parameters will be visible in the API tab. You can then use the endpoint and make adjustments to the parameters as you please. In addition to the API endpoint URL, Realtime also offers codes in multiple languages — Ruby, Python, PHP, NodeJS and cURL — that developers can simply copy and paste into their code-blocks. Our simple user interface allows you to access existing as well as custom-built APIs right on our user-friendly platform, without having to install and manage complex third-party software, so you can keep everyone’s focus on what matters most. If you’re already a regular Grepsr user — Chrome or Concierge — you can use your existing account to log in to and use Realtime. For new users, signing up is easy. Just register for an account here; it’ll only take a couple of minutes! Google authentication is also available. As with any other Grepsr project, you’ll receive round-the-clock support from our dedicated team of experts. With someone always available to monitor the health of your API, you can rest assured that you’re constantly receiving complete and steady streams of data. Simply head over to the Support tab and drop us a message. With Grepsr Realtime in charge of your data sourcing, your costs and errors are drastically reduced, and processes much more streamlined. Realtime improves the efficiency of your business, so you can focus on the things that matter. As mentioned above, once you’ sign up, you’ll be able to try any of our built-in APIs for free for a limited number of API calls. When you’ve reached this limit, you can opt for one of our paid subscription plans. Since API projects vary in complexity and payload size, the costs of our Basic and Advanced plans also differ on a project-to-project basis. For the same reason, the number of API calls allowed for each plan is also project-specific, ranging anywhere from 500 to 1000 calls. Custom plans for these pre-built APIs are also available on request. The prices of Custom-built APIs (user requested projects) are based on different factors including, but not limited to, the nature of the website(s), frequency, number of API calls, etc. in addition to those mentioned above. So if you’re looking for a tool to instantly convert any web content into easily manageable APIs, just give Grepsr Realtime a try!